Kent Business School degree results a success! Degree results for Kent Business School students at the University of Kent show significant improvement in the 2012 examinations compared to 2011. Kent Business School is widely respected by organisations and employers from around the globe for our academic rigor and real world relevance. Companies such as Microsoft, Nissan and PepsiCo Europe actively pursue Kent Business School for placement students. At the Canterbury campus, 72% of Kent Business School students achieved a 1st or 2:1, a rise of 17% over 2011. 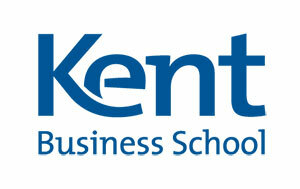 98 Kent Business School students achieved a 1st – almost double the number from 2011. Kent Business School students at Medway also experienced a rise of 17% with an equally impressive 67% achieving a 1st or 2:1. With a choice of bachelor degrees in business, management, accounting and finance, Kent Business School provides a robust international business education. Kent Business School is continually highly ranked by The Sunday Times Good University Guide, The Guardian University Guide and The National Student Survey (NSS). Our graduates are proven to have excellent employment prospects; for example, the University of Kent was ranked 5th in the UK for Business and Management graduating students’ employment prospects in the 2012 Guardian University Guide. Congratulations to all Kent Business School graduates! Further information about Kent Business School can be found at www.kent.ac.uk/kbs or email kbsinfo@kent.ac.uk.